Dr. Jack Stockwell - You Are Washing Your Hands Too Often! 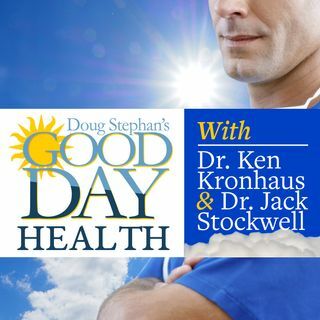 Dr. Jack Stockwell www.forbiddendoctor.com and Host Doug Stephan discuss why we are washing our hands too often and when you should wash. Next, a look at the Vitamin K and Vitamin K2 controversy, and the difference between them. Learn the healing benefits of Chlorophyll and which type is the best. Next, what is Neurotransmitter and how does it work? Then, what's all the excitement about Madagascar Vanilla? Finally, we learn that Coconut Oil may not be as good for us as we were led to ... See More believe.